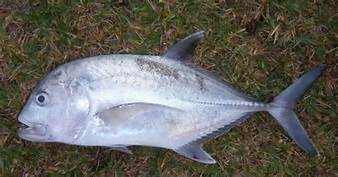 Ciguatera fish poisoning is caused by a poison called ciguatoxin. This poison is found in marine algae, seaweed, or coral. Fish after consuming algae or seaweed become infected. Lager predator fish become carriers by eating smaller fish. Numbness, tingling, or a burning sensation around mouth, hands, or feet; Joint or muscle pains with weakness or cramps; Vomiting, diarrhea, chills, itching, headache, sweating, and dizziness; Reversal of temperature sensation in the mouth, unusual taste sensations; nightmares, or hallucinations. Symptoms usually begin within few minutes to 6 hours. Ciguatera fish poisoning is an illness caused by eating tropical reef fish that have accumulated the ciguatoxin poison. A physician or clinician will make diagnosis based on clinically compatible symptoms. There is no laboratory test for humans. The treatment is mainly supportive. It is recommended to avoid eating fish, fish sauces, shellfish, alcohol, and nuts for several months after the incident. You do not develop immunity to Ciguatera. 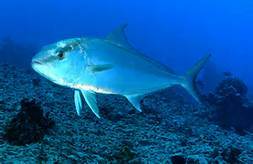 Hawaii is at very high risk of Ciguatera and can be found on each of the Hawaiian Islands. Do not eat the head, guts, liver or roe (eggs) of any reef fish. Cooking, drying, salting, or freezing does not kill the poison causing Ciguatera fish poisoning. Ciguatera fish poisoning is a reportable disease Hawaii Administrative Rules Title 11 Chapter 156, Communicable Diseases, under the Urgent category which requires a report by telephone to the Disease Outbreak Control Division on Oahu or to the District Health Offices on the neighbor islands as soon as a provisional diagnosis has been established. The telephone report shall be followed by a written report submitted by mail or fax within three days to Disease Outbreak Control Division on Oahu or to the District Health Offices on the neighbor islands.